Capcom says used game sales "were not a factor" in deciding to make the save data in Resident Evil: The Mercenaries 3D permanent, but it was a little less than forthcoming about what actually drove the decision. 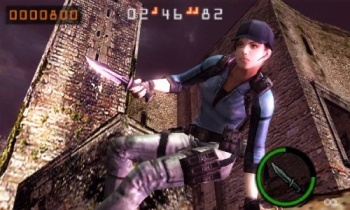 We found out yesterday that save-game data on the new Nintendo 3DS game Resident Evil: The Mercenaries 3D, according to a note included with the game, is permanent and cannot be reset. The immediate and obvious assumption was that this is an attempt to thwart pre-owned game sales by sticking anyone who buys a used copy with the saves, achievements and other content already unlocked by the original owner. But Capcom says that's not the case at all. "Secondhand game sales were not a factor in this development decision, so we hope that all our consumers will be able to enjoy the entirety of the survival-action experiences that the game does offer," the company said in a statement. So what were the factors? That part isn't entirely clear. "In Resident Evil: The Mercenaries 3D, all mission progress is saved directly to the Nintendo 3DS cartridge, where it cannot be reset," the statement continued, essentially repeating what we already knew. "The nature of the game invites high levels of replayability in order to improve mission scores. In addition, this feature does not remove any content available for users." Clear as mud, eh? I suppose there could be another valid reason for making the game this way, I just can't imagine what it could be, and I think that Capcom's refusal to spell it out speaks volumes. And regardless of the intent, the new Resident Evil title may already be making an anti-pre-owned splash, although not necessarily to Capcom's benefit: Vooks.net claims that EB Games in Australia is refusing to sell the game because its resale value is so low and it would be impossible to return it within the store's seven-day "as new" refund policy.